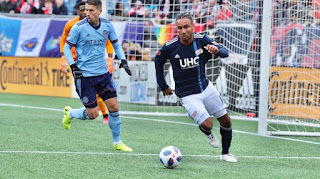 Ismael Tajouri hit a second-half brace in the second start of his MLS career as a short-handed New York City FC side twice came from a goal down to earn a 2-2 draw at the New England Revolution on Saturday afternoon. Tajouri now has three goals in two games filling in for star forward David Villa, who remained out Saturday with a calf injury. That was only the start of the absentee list for NYCFC, which remained unbeaten this season despite playing without Alexander Ring, Ronald Matarrita and Rodney Wallace. 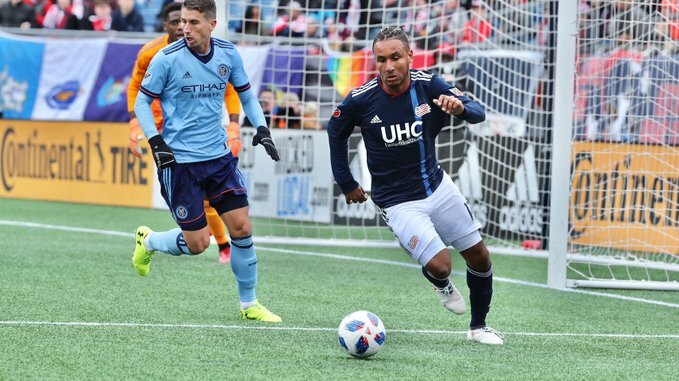 But after Diego Fagundez gave New England the lead early in the first half, Tajouri found space and got in position to be the finisher of a tremendous team counterattacking goal six minutes after halftime. Juan Agudelo gave the hosts the lead again, only for Tajouri to take Yangel Herrera's pass and hammer home his second of the day with 15 minutes remaining.